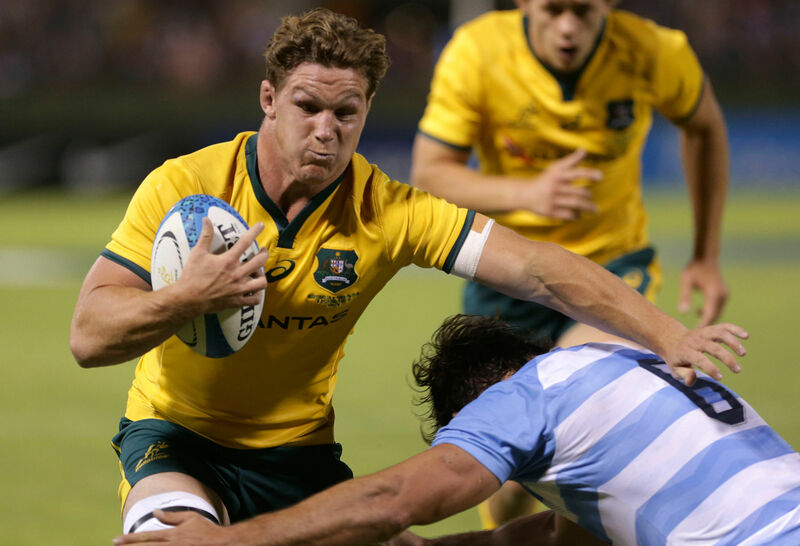 The Wallabies were woeful in the first half and wonderful in the second half. So the answer to that opening question has to be a guarded one, of Not Proven, the ambiguous verdict sometimes used in Scottish courts of law. It depends on which half of the Test is regarded as the defining 40 minutes. If you take the first 40 minutes of the Test as the standard, then you would sack the coaching staff, lock, stock and barrel. But if you take the second 40 minutes as the standard, then there is a case for the coach, certainly, and most of the coaching staff to stay. What is needed to sort this out is a panel of former coaches, Rod Macqueen, Bob Dwyer and John Connolly, to make an urgent review and report to Rugby Australia and (most importantly) to the beleaguered Australian rugby community before the November Spring Tour. 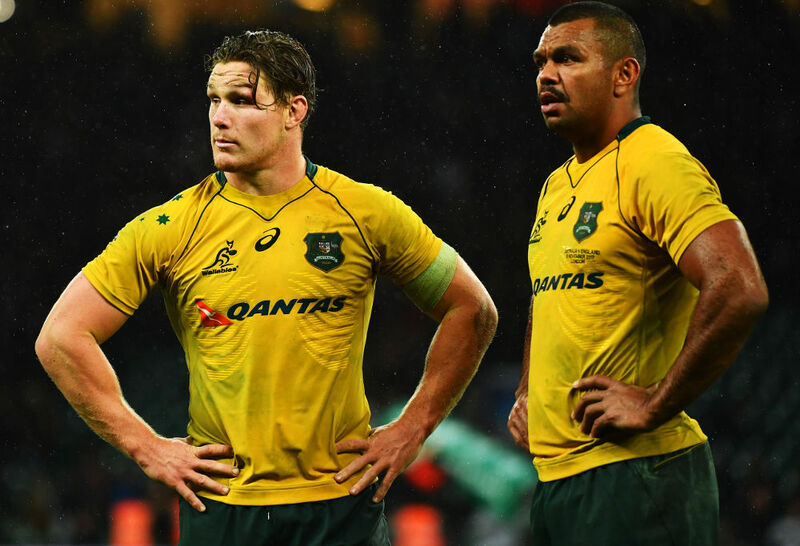 The fact is that a number of matters related to the selection and preparation of the Wallabies need to be reviewed as a matter of urgency. These matters relate to the performance of the coaches, their methods, their selection criteria, what back-up they need, whether particular coaches should stay and, most importantly, the input or lack of it from the high performance unit. What is that plan? We’ve seen no evidence from the series of knee-jerk selections and continued poor play by the Wallabies of any winning type of plan. Whatever this plan is, and it may be only that Cheika wants a squad of 30 players who are up to Test standard, it should be reviewed by the panel of former coaches for their endorsement, rejection or modification. As an indication of what should be in the Wallabies planning, I would reference the fact the All Blacks coaching staff, under the highly successful Steve Hansen, start every new season by throwing out the game plans of the previous one. They then spend some months throughout the Super Rugby season working out a new set of plans and structures for the All Blacks that take into account new developments in the game during the European season and in Super Rugby, and who is going to be selected in their new squad. Does Cheika and his coaches do this? There is no evidence, on and off the field, to suggest it. It seems to me that while Cheika has been at the helm of the Wallabies, there has been the same game plan executed with varying degrees of success and failure by a significant proportion of the same players who played so splendidly in the losing effort in the final of Rugby World Cup 2015. A point to note here is that the bulk of that World Cup side was selected and coached by Ewen McKenzie. I have even less confidence in the high performance unit to add value to the Wallabies project. Their work needs to be exposed to the scrutiny of the former coaches who worked in an era when the coaching staff could sit in a single seat on a bus, rather than fill the entire back section. I have no doubt that the former coaches will be critical of the high performance unit. The former coaches review panel should be empowered, too, to make recommendations on the various coaches on the Wallabies staff and make suggestions (leaving out head coach Michael Cheika) on whether the current personnel are up to the mark. An example of the sort of question that could be raised is this: Why did Eddie Jones use Glen Ella as an attack coach, on a short-term basis, to help England win their unprecedented three-nil series whitewash against the Wallabies in 2016? The only reason, it seems to me, why people like Glen Ella seem to be shut out is that there is a culture of “jobs for the mates” that is totally pervasive throughout Australian rugby. 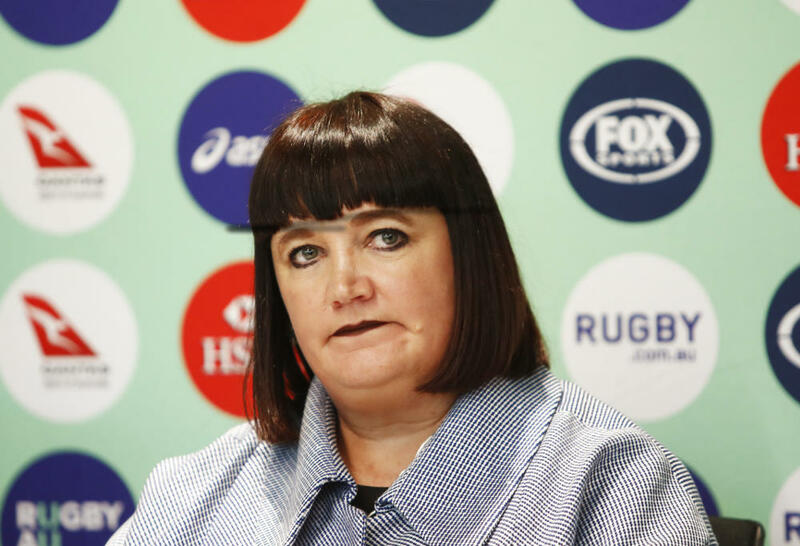 It needs to be said, also, that someone like Rugby Australia’s coaching guru Rod Kafer needs to be kept as far away as possible from this review panel. I regard Kafer, along with a group of other former Brumbies (in the main) and other former Wallabies mates from the early years of the professional era, as part of the problem regarding the lack of performance from the Wallabies in the last two years. In the Australian on Saturday, Mark Ella, in an excellent column (‘Man at top must be held accountable for the messy experiment at No 10’) raised a number of issues that needed to be addressed by the Wallabies in their make-or-break Test against the Pumas. Second: If the five-eighth runs across the field, the inside centre needs to straighten the attack. But Kurtley Beale does not do this being preferring to run across the field, a tactic that makes him hard for his centres to follow. Fourth: There has been too much kicking away of the ball, especially by Beale. Fifth: Playing Michael Hooper out wide has exposed the Wallabies to break-outs by their opponents that often result in long-range tries. Now we come to the matter of evaluating the Australia 45, Argentina 34 Test played at Padre Ernesto Martearena Stadium, Salta, a town 1100 metres above sea level. Sean Fitzpatrick’s famous cliche of ‘a game of two halves’ is the best summary of what happened during the Test, certainly one of the most remarkable collapses (the Pumas) and resurgence (by the Wallabies) I have ever seen. 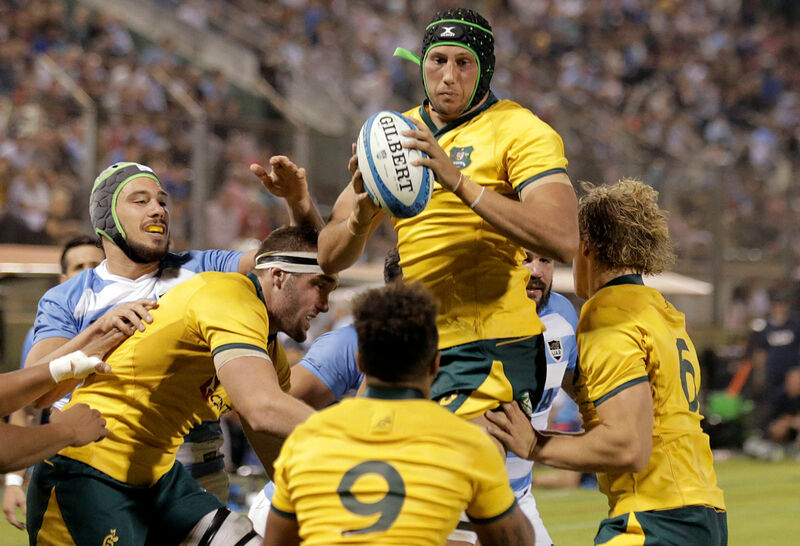 The Wallabies did not just hit back in the second half, they pulverised the Pumas with a knock-out series of try-scoring blows. They turned a 7-31 scoreline at half-time into a 45-34 victory. In the first half, virtually all the criticisms of the Wallabies and their coaching staff raised by Mark Ella and all the other critics (including myself) seemed to be justified. In the second half, almost miraculously, the Wallabies turned the game around and looked like a side that had conquered many of the demons that stuffed up its attack and defence. What happened to make this change? Some commentators pointed to Michael Cheika’s thunderous half-time rant to his players. I doubt if this is the answer to why the down-and-out Wallabies became so dominant. Half-time talks of the ranting variety generally last about as long as the first contact. Indeed, the Pumas started the second half with the same rampant attacking play as they had shown in the first half. But, within a few minutes, they collapsed into a brain-weary and leg-weary outfit that had lost all its energy and rugby nous. I think there are two reasons for this. And if these reasons are accurate then we must look at that final 40 minutes played by the Wallabies as a thing of wonderment that was achieved against an opponent who had no fight left in them. Reason one relates to the conjecture that the altitude got to the Pumas, a side that often runs out of fitness, even when it plays at ground level. The Wallabies looked to be much the fitter side in the second half. Moreover, they worked out a successful kicking game that looked to booting the ball down the middle of the field, chasing hard to force mistakes and then running back errant kicks. This shift in momentum and energy, in turn, was enhanced by the fact that Cheika made the smart choice and replaced his entire front row for the second half, while the Pumas coaching staff were slow to make their replacements. Reason two relates to the loss of Nicolas Sanchez in the 28th minute of the Test, with the Pumas leading 21-7 at the time. The replacement for Sanchez at number 10, Santiago Gonzalez Iglesias played well, scoring a try and slotting a conversion and two penalties. But importantly for the Pumas, the management of the game moved from Sanchez, one of the better organisers in modern rugby, to the halfback Gonzalo Bertranou, a player of moderate ability to control a game. Bertranou started to kick, rather than distribute the ball to a backline that had chopped up the Wallabies defence. Right after half-time, he took so long setting up his box kick that it was an easy matter for Izack Rodda to charge it down and Michael Hooper to pick up the bouncing ball to canter across for a try. Despite this trigger warning about the folly of giving the ball back to the Wallabies, the Pumas continued with this stupid tactic until they were behind on the scoreboard. Going through Mark Ella’s warnings, it was noticeable that the Wallabies flattened their attacking lines in the second half, to such an extent that Rod Kafer called out for them to stand deeper. Kurtley Beale ran straighter in the second, before he was substituted by Matt Toomua with five minutes of play left. Israel Folau had a 15-minute or so patch of play where he ran through the Pumas defence seemingly at will. Michael Hooper played more on the ball than in previous Tests, rather than sea-gulling out wide. His impact on the Test was the greater because of this. However, and it is a big however, the Wallabies continued to make some dreadful mistakes, especially with their passing, even when they were rampant and the Pumas were staggering around from exhaustion. If the Test had been at sea level, the Pumas might have achieved a famous victory. We need the review by the former coaches, then, as a matter of urgency, to set out the guidelines for the Wallabies and their coaching staff (or those who get to stay on) to achieve some lasting benefits out of a win that the Wallabies might never achieve again.